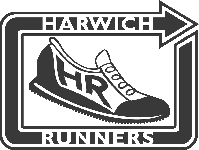 Harwich Runners Forum / Can anyone keep me company? » Can anyone keep me company? Can anyone keep me company? Relay went really well, nearly forty HR's in one place, great company and the sun was shining. Big thank you to Becky and Mark for getting the troops out today. And thank you to the cake makers. Brian, Rob Jason and Graeme were flying for the men's A team. As were Becky Elspeth and Kareen, Elspeth looked as though she had a good run, looked very strong finishing. So many members doing their first Essex relay, another day to be proud of our little club. Can't wait to see the results. Re: Can anyone keep me company? Thanks for that, Anna Always good to get feedback on a session, glad you enjoyed it.